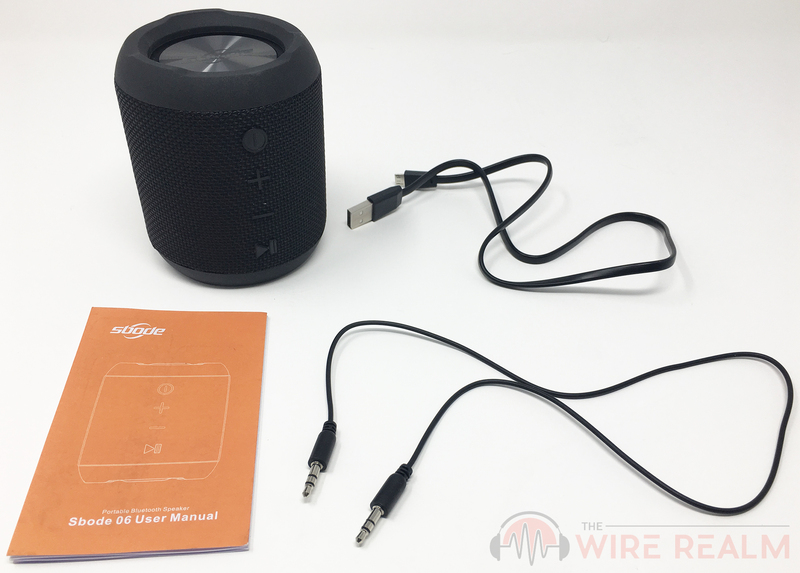 Out of the box, we were happy Sbode provided us with not only a user manual but a 3.5 mm (decent size at about 10″ long, more than enough to plug our phones into the speaker and at least have a little bit of wiggle room while we play tunes) and USB charging cable. For us it came fully charged out of the box which was great since some speakers entail charging before we’re able to use them. 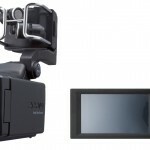 The user manual is pretty useful safety instructions, features and tech specs, as well as info about how to use the controls. For example, simply press and hold the circle with line button to turn the speaker on. Or use the other controls at the front of the speaker as normal and you’ll be able to change through songs, play or pause your tunes. Once you’re turned on, it will automatically enter pairing mode and state, “Bluetooth mode”. Simply go into your Bluetooth compatible device and it should show up no problem as it did for us in the list as ‘Sbode 06’. Another big highlight of this particular Bluetooth speaker is the waterproof protection. We’re at IPX6 here, which when rated, means when it comes to water it can protect from sprays, powerful water jets, or other high-pressurized sprays that may occur (maybe you’ll be playing with super soakers?). 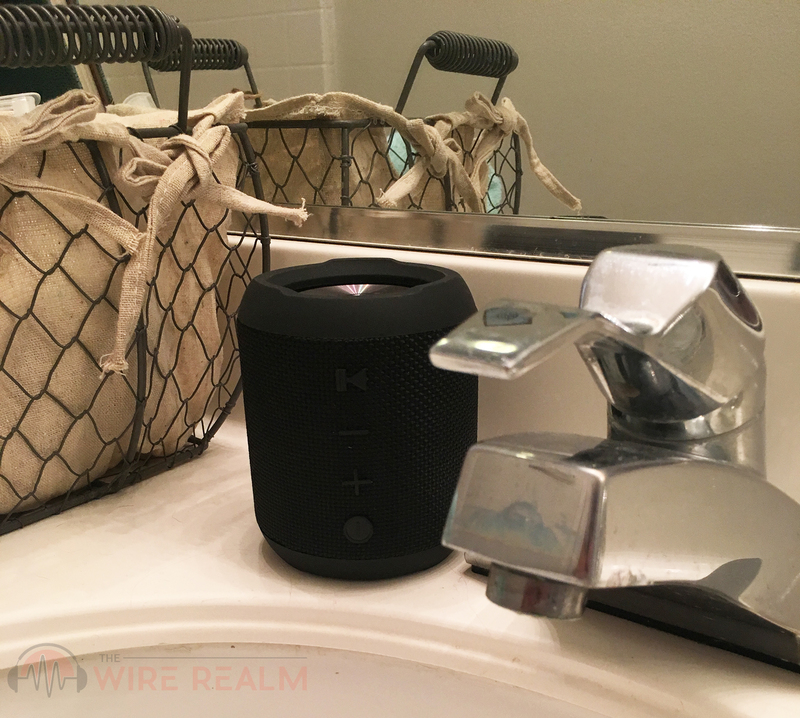 Keep in mind however, a step above IPX7 starts to get into the actual ‘water dunking’ (IPX7 is dropping into water up to 3 feet, while IPX8 is water over 3 feet), so we don’t recommend letting this speaker float in the water while you hang out. Instead, try keep it relatively safe by the pool or beach away from the water as precaution, and the IPX6 is basically there to act as protection just in case somebody cannon balls or happens to splash excess water onto the unit. 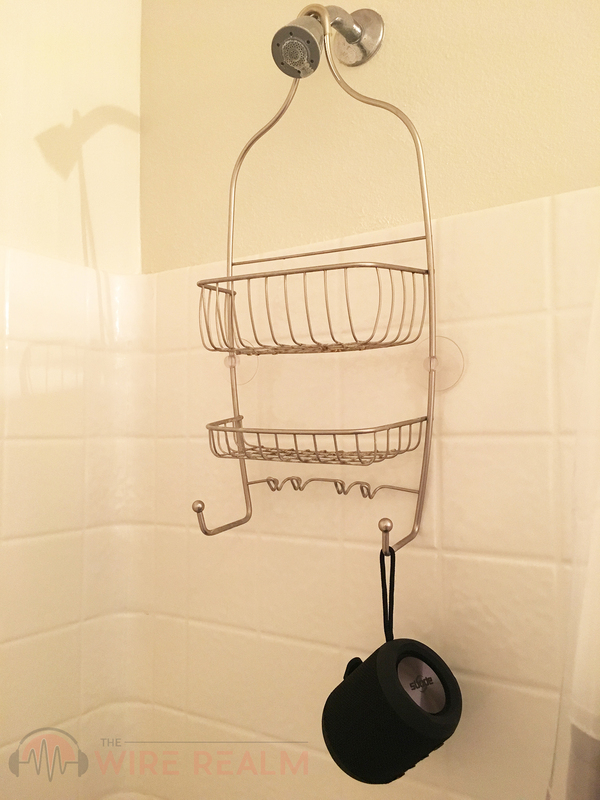 Sure, you can get away with hanging this in your shower, but we’d still be careful. We tested the waterproof and had this in our shower for a week and had no problem, and even splashed some water on it on purpose and experienced no damage. In regards to the dust proof, it’s the highest of the bunch and considered ‘dust tight’, with complete protection against dust and dirt particles altogether. When we tested and measured the Bluetooth range, and were happy with nearly 40 feet of uninterrupted music playing. 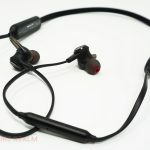 We didn’t experience and disruptions when traveling away from the speaker, either, a common, nit picky bug a lot of Bluetooth speakers and headphones sometimes go through as we walk away from the device. Lastly, the overall portability of this speaker is key here. It’s extremely small, pretty much the same size as our coffee mug we’re drinking out of right now. There’s also a nifty carrying loop made of a rope-like material that you can use to carry around, or when playing music perhaps hang it from an area that will cover your intended setting (or perhaps a beach chair, table at a picnic, etc.). Considering the price of the Sbode M350, the build here is quite impressive, coming with a rugged, mesh surrounding to act as the speaker’s grille. The ends of each side of the speaker are made of a adaptive coil and move in and out with the music, and we can literally press them inwards to reveal some rubberized material that protects the internal speaker parts. We like the flexibility of the ends to help with adapting to the sound, but also think you should be careful since the entire speaker isn’t particularly covered by a rugged material and gets a bit sensitive to punctures at the ends here. It’s still completely waterproof and dust proof, so you won’t have to worry about that with the speaker as a whole. 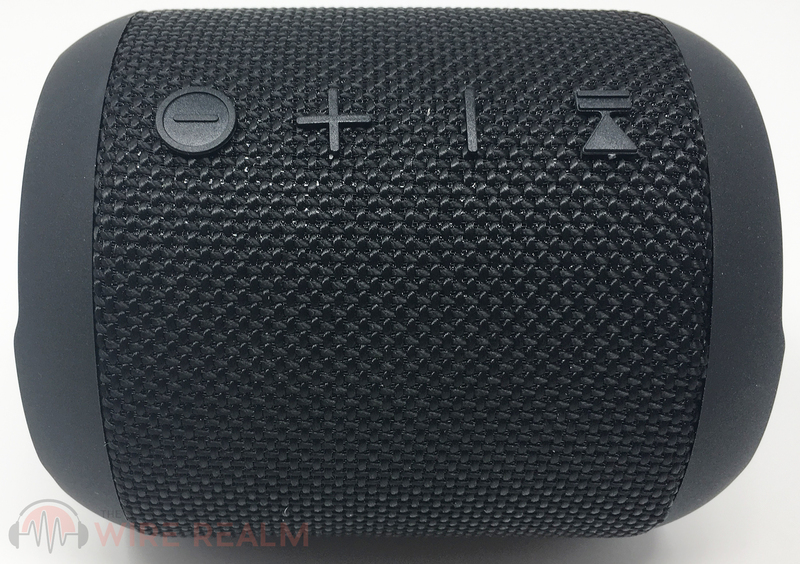 It also isn’t necessarily a 360 degree speaker and in our opinion you’ll be limited to keeping it mounted on either side of the vertical ends, but you won’t be depleting any of the sound if you do so. You can also maybe rest it on it’s side with the controls facing up (the sound projects from here), but be careful because it isn’t quite sturdy facing it’s side and can roll if somebody accidentally hits it. Since the sound doesn’t project from all sides as well as what we can hear from the front of the controls, we recommend keeping it away from the environment and facing the controls outward to the majority of the space you’re trying to cover with the audio. No, there isn’t a carrying case with this one but due to the water and dust protection and cheap price we can get away from this factor. Most (including us) will be simply adding this to an already-existing speaker toolbox and can get away with the risk for storing this by itself, perhaps inside of a backpack or even hanging it from something else we’re carrying (such as a chair). For us, we’ll be bringing this to the beach and pool this summer but keeping it near the bath when we aren’t traveling. The sound quality here is definitely average, but to us that’s a good sign considering the price of this thing. The music is clear and although our spoiled ears that have been testing in-ear monitors and studio monitor speakers for the past few months that are literally hundreds of dollars and made for musicians, wouldn’t be fair to compare at all. It if course doesn’t have any separate components for bass and highs within the driver, but that’s completely expected with a speaker of not only this price but size as well. There’s definitely a blend of all of the frequencies into one and no spatial awareness, but that’s only present with music playing devices at $500 and over. This is however when the their “True Wireless Stereo Function” comes in to useful play — you can pair up two of the same speakers at the same time to have a ‘stereolike’ sound, and we recommend setting them up on either both sides of your setting or keeping them at a wall away from each other to act as a ‘left’ and ‘right’ speaker. This will help tremendously with the overall feel as well as power you can attain by combining two of them. 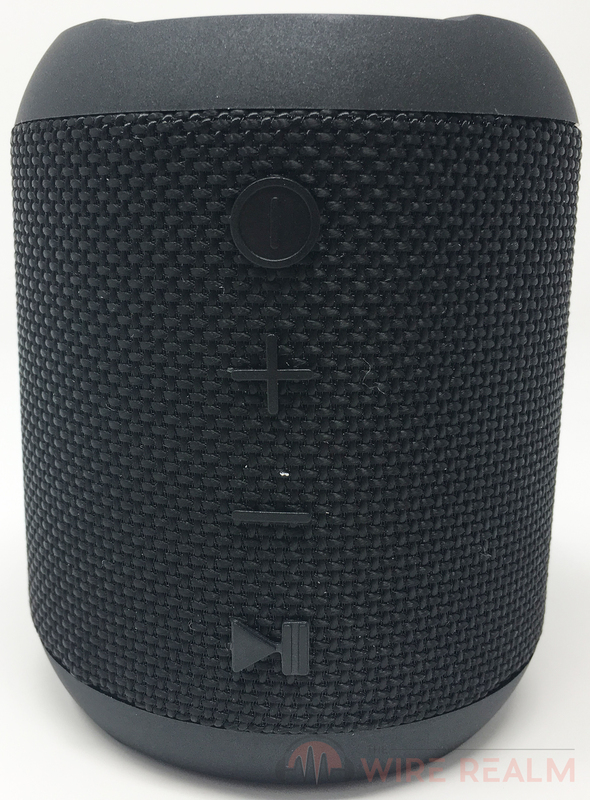 Speaking of power, this particular Bluetooth speaker isn’t anywhere near the ‘most powerful’ out there since it only has about 12 watts of power, but again, with the size we’re not going to complain. 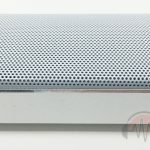 Those who do wish to power up huge rooms typically purchase PA systems or single loudspeakers that cost hundreds of dollars, or the Bluetooth speakers that do provide a relatively higher scaled power handling will be around double the price. So if you’re able to sacrifice this factor and feel saving money is more important than having a speaker that can hurt your ears once you get to the maximum volume, this is for you. 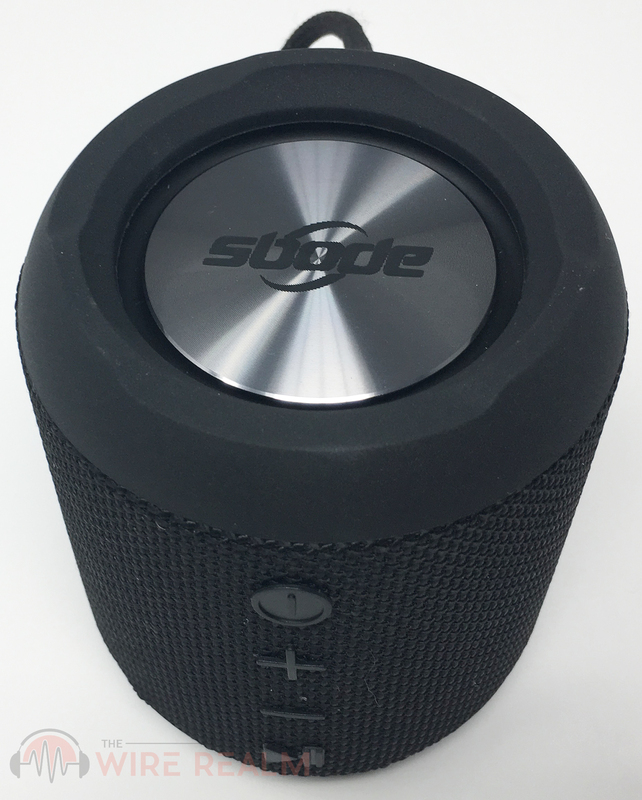 When testing, we still feel the SBode M350 can power most rooms in a home, a decent-sized picnic, beach or pool area of about 15-20 people, or any other setting that falls within this number of people. 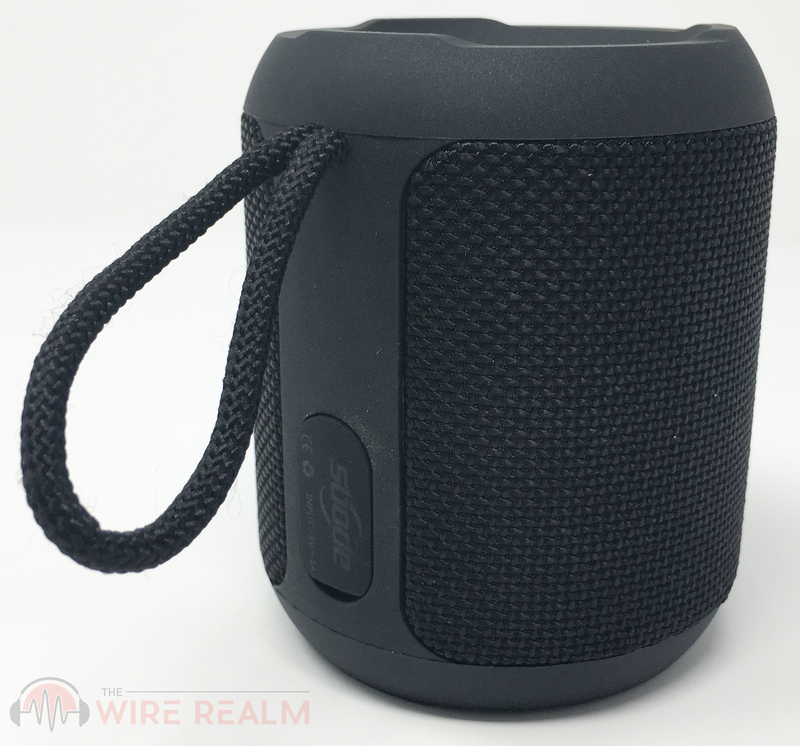 Some cons some may consider should be the overall power, but as stated previously, you won’t be buying a Bluetooth speaker of this type within this particular price-range if you were most concerned with volume capabilities. No speaker under $100 will bring that. The size alone explains the lack of huge driver and in a way we don’t care due to the portability — with speakers you’re either choosing size or power handling. 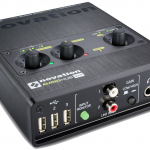 The sound quality isn’t necessarily a crazy dual driver or with other fancy tech built-in to explain a better frequency response, but we saw no problems when listening to music with this thing, especially as we were in the moment with friends. There is also no volume control of the unit itself. Whether this is important to you we’ll leave that be, but for us, we’re fine with sticking to our phones for adjusting the volume (actually prefer it most of the time since we venture away from the speaker and mainly use our phone to choose tunes and control everything from there). 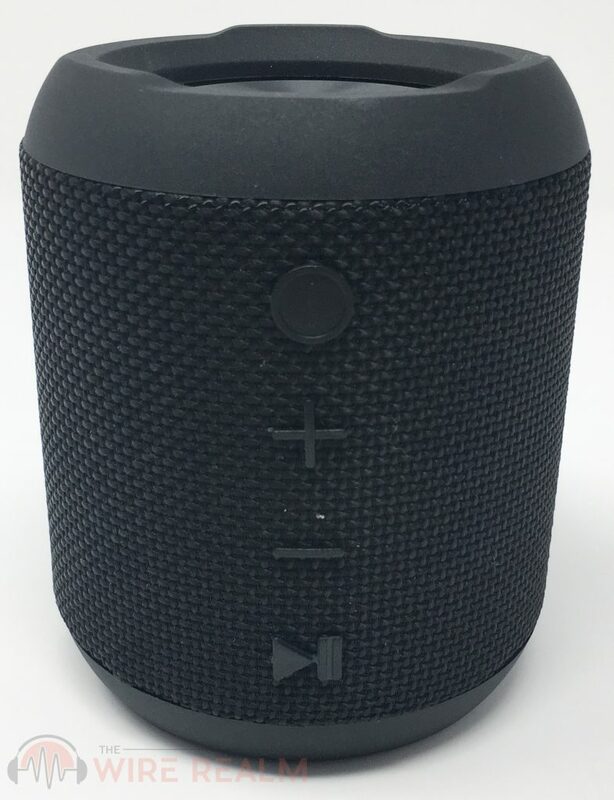 We actually prefer cheaper-priced portable speakers, especially with this “type” being waterproof and intended for use in party-like settings, an environment it may very well be damaged in. Due to this, we like lower-priced speaker solutions so we don’t have to stress about the price-tag when we’re using it — if Johnny accidentally dunks it in the lake or it happens to drop on some concrete, the build will most likely protect this, but we can always buy a new one or merely keep using the speaker without much pain in our hearts (and wallets). To us, cheap and waterproof speakers are the way to go when traveling. Sacrificing the lower volume as compared to some others is fine, since this one can power up enough for a smaller picnic, beach or lake trip, or as explained previously perhaps an outdoor kickback with about 15-20 people no problem. 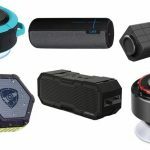 You can read our Bluetooth speakers guide for some more comparables, but those aren’t necessarily within this price-point or intended use. 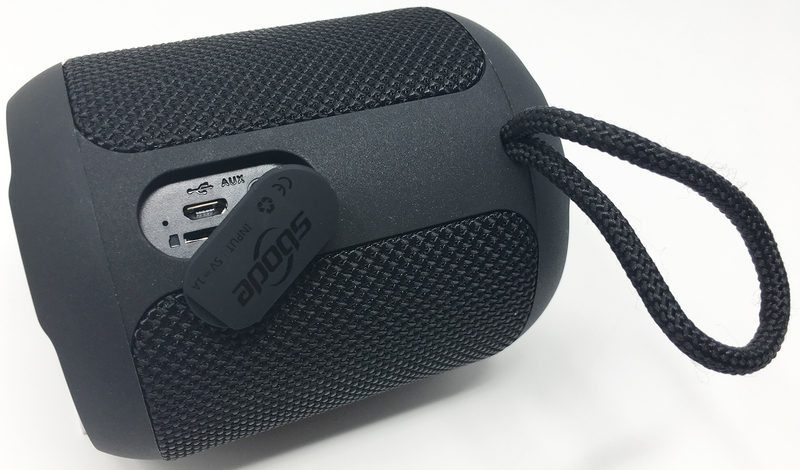 Our waterproof Bluetooth speakers guide may be more suitable. 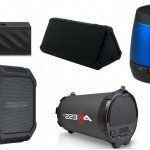 All in all however, the Sbode M350 Bluetooth speaker is superb due to the extremely cheap price and overall effectiveness for doing what it’s suppose to — provide a useful wireless speaker with protection to bring us some enjoyment outdoors without having to stress about ruining it and losing a lot of money.